The Sunday before last, as I loaded up visiting Mexican writers Bernardo Fernández (Bef) and Pepe Rojo in my pickup for a day-trip half-way across Texas and back (their pilgrimage to meet the Maestro of East Texas noir), my passengers registered astonishment and alarm as I pulled out my radar detector and turned it on. It was early, we were tired, and the thing makes creepy electronic squawks. But the real source of their fascination and low-level anxiety was their presumption that any such device designed to help the citizen evade detection of his or her law-breaking by the police must surely be illegal. I assured them it was lawful (without any jingoistic gringo proclamations of Texian liberty), only to later second-guess myself, knowing that there are a few states like Virginia where they are prohibited. 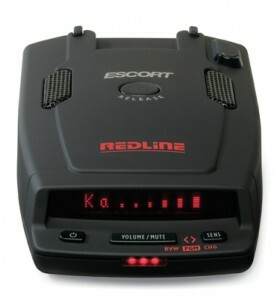 I accepted my guests' assumption that radar detectors are a uniquely American thing, a consumerized derivative of freedom of travel and the right of revolt lurking behind Second Amendment jurisprudence. Turns out that was wrong—radar detectors are legal in Mexico, if perhaps not all that useful to keep you out of trouble. But it is also clear that Bef is right in his assumption that the state will reflexively resist efforts by the people to conduct surveillance on power. As evidenced by the Brazilian government's prosecution of Twitter this week for hosting a site in which users can alert others to then locations of police roadblocks, radar traps and drunk-driving checkpoints. Causing one to wonder whether the the notion that you can't put toothpaste back in the tube would translate well into Portuguese. My conversation with my visitors reflected our common presumptive fear that the use of a radar detector, whether lawful or not, will provoke the prosecutorial ire of the state and its agents. It's certainly one of the first things you want to hide if you get pulled over, even where legal, and even when you haven't been speeding. That fear is well-conditioned by state power, and always has been. But the Brazilian Twitter case is an enlightening glimpse into how that paradigm is being upended by network culture—in which the network serves as the ultimate radar detector. Mexico provides a compelling example of how computer-based social networks enable the citizenry to turn the tables on power, and countering fear through the unity of multitude. Nelson Arteaga Botello of UNAM has done amazing work studying how citizens of Monterrey and other northern cities cial-ntwking.pdf>use social networks to conduct counter-surveillance of narco blockades imposed on their metropoles. The network provides the people with the means to monitor and evade the control of the sovereign, be it a constitutionally elected government or a band of violent warlords (or, as in most cases, some combination thereof). The biggest challenge to fully realizing the power of networks to enable the citizen polity will be this: the Network we consider our public space is really just an aggregation of private networks, owned by parties who are much more amenable to government pressure than a distributed and informed multitude of individuals. Consider Wikileaks, which the U.S. broke by exploiting its control over the electronic payment networks that control substantially all of the transaction commerce of the globe. The U.S. government doesn't need a reasoned legal basis to shut down Wikileaks—it just needs to communicate to MasterCard, Visa, Amex and PayPal that there will be adverse consequences if they don't conduct themselves in a, you know, PATRIOTic manner. As our networks become the town hall of our emerging global politics, the radar detector is going to be squawking a lot.